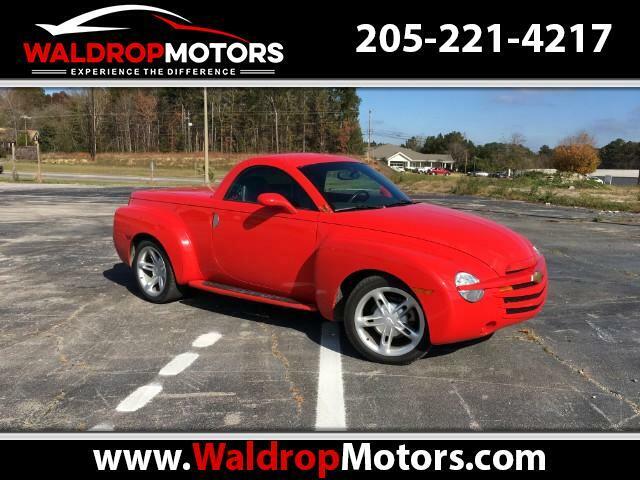 Look at this beautiful 2004 Chev SSR that is available at Waldrop motors.This truck has heated seats, retractable roof, carpeted bed and by a 5.3 LT1 V8. I have owned several Corvettes over the years and this truck handles as well as the Corvette. this truck is like brand new, it has a clean car fax and what about the miles 24k . Make the short drive to Waldrop Motors where we never charge any additional fees and our salesmen do not work on commision. Serving our customers transportation needs for 30 yerars.